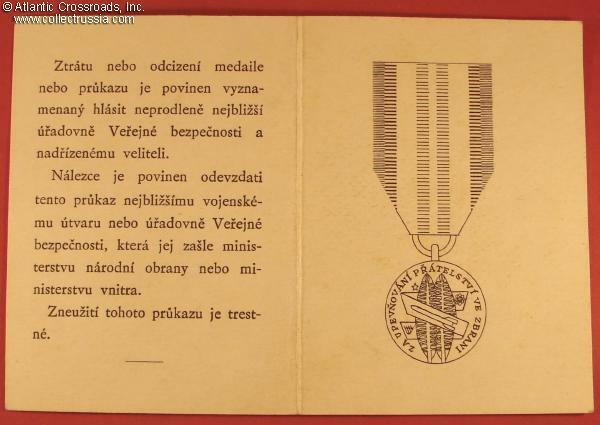 Medal for Strengthening Combat Cooperation, 2nd cl, with a document issued in May 1970 to Nikolai Makarov. 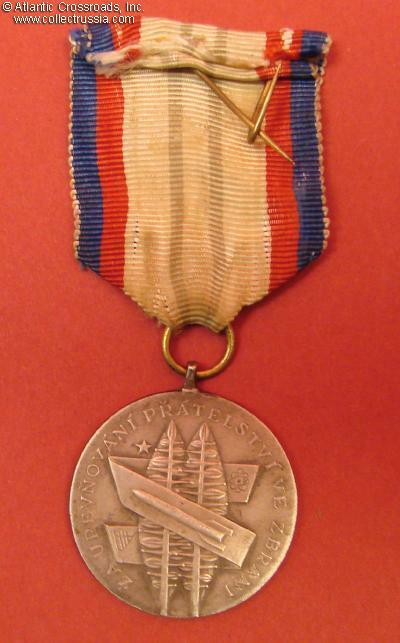 The medal is in white metal, 33.4 mm wide. 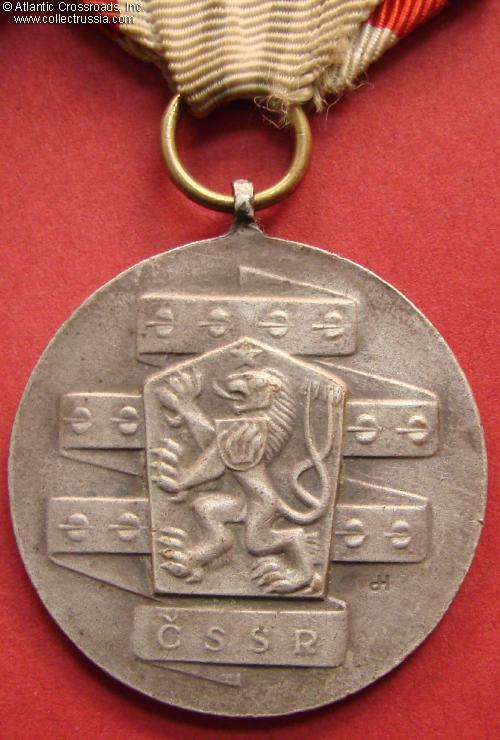 Maker marked on the obverse, near the lower right of the lion. In very fine to excellent condition: shows minor pitting and edge knocks but no scratches, oxidation or significant wear. Includes original ribbon with misshapen but still fully functional pin. The document is specific for the 2nd cl. 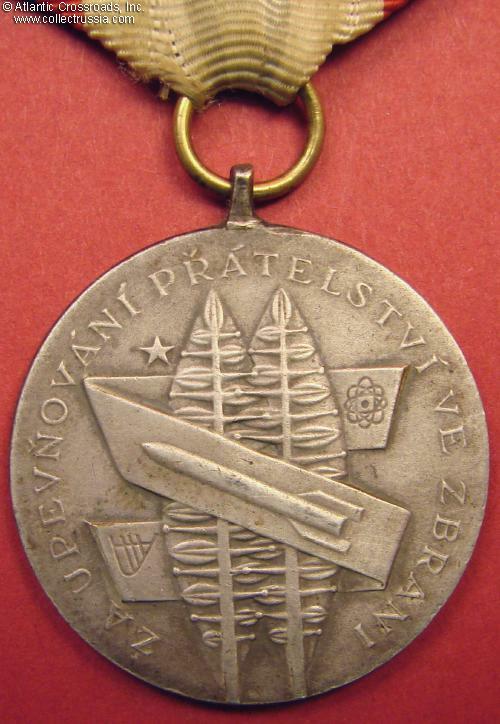 of the medal and shows its depiction on the cover. 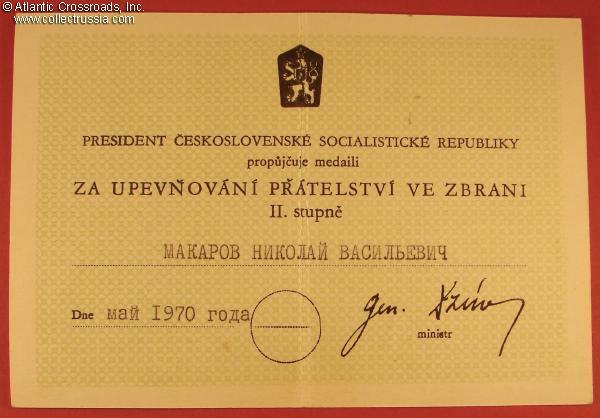 Signed by the Czech Minister of Defense (this appears to be a hand-signature, not a facsimile). Interestingly, the typed name of the recipient and the date are in Russian rather than Czech or Slovak language. The document is in excellent condition. 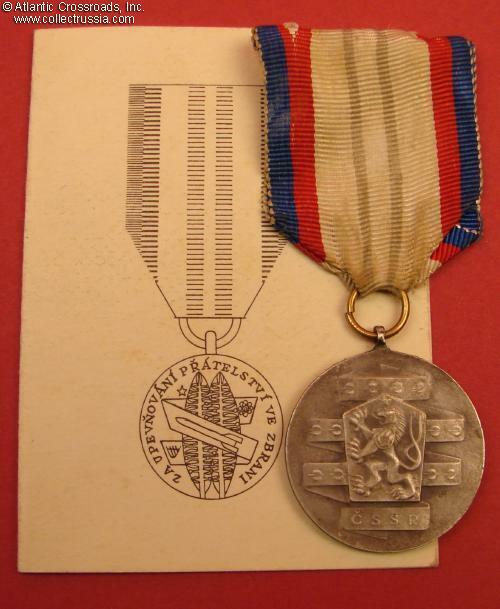 The medal was usually awarded for excellent performance in joint military exercises of the Warsaw Pact.